151 Auto Cook Menu , Double Heating Power , Black Mirror Finish With Chrome Trims. 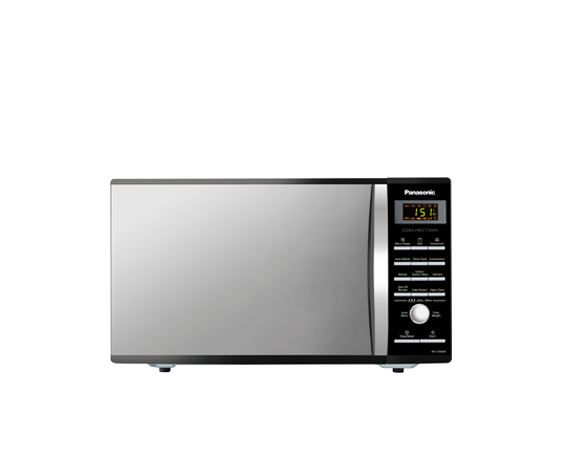 NN-CD684BFDG 151 Auto Cook Menu , Double Heating Power , Black Mirror Finish With Chrome Trims. It has a Capacity Of 27 Ltrs. 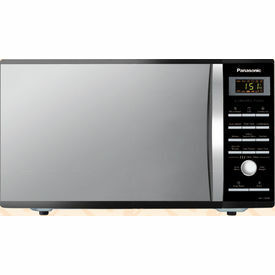 It comes with 151 Auto Cook Menus Including 70 Indian Auto Cook Menus.It has a Ceramic Turntable and a Robust Stainless Steel Cavity For better performance.Black Mirror Finish Of this microwave gives it a Graceful,Stylish and Beautiful look..The Vapor Clean Function of This microwave harnesses the cleansing power of water vapor in removing stains and grime from your microwave's inner cavity. All you need to do is press the Vapor Clean button. Just wipe the cavity once the Vapor Clean action has been completed. And there you have it, a spick and span microwave cavity free from bacteria and bad odours.The Robust Stainless Steel Cavity is easy to clean and looks new even after long use. To Recieve updates and possible rewards for Panasonic NN-CD684B please sign in. To Recieve updates and possible rewards for Microwave please sign in.